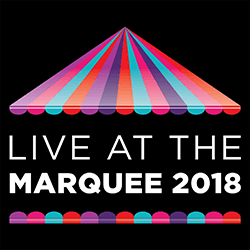 Live At The Marquee is an annual music festival which draws crowds from all over Ireland and abroad. The festival is now in its 15th year and promises to be the most exciting yet. Having begun in 2005 when Cork was the official European Capital of Culture. More than a decade later, the structure of the festival remains the same, as does the location. To this day, it’s hosted on Centre Park Road in Cork city. Starting in June, it spans almost the entire summer. Each event is independent of one another, with tickets available for individual purchase. This year, the festival focuses on some of the top talent from Ireland, as well as popular acts imported from Europe and the USA. There’ll be a mix of music genres and comedy shows, ensuring there’s a performance to suit every taste. Over the years there have been a number of well-known names in the music industry playing sets, including 2FM's Live With Jenny Greene & RTÉ Orchestra, David Gray, Kris Kristofferson and the Academic. The Imperial Hotel is proud to be one of the top hotels near The Marquee, Cork. Since we’re the most centrally located city hotel, the venue is a short walk from our door. If driving, this is less than a 10 minute journey. If you’re interested in Live at the Marquee, check out some of the musical talent that’ll be playing at this year’s festival. We have the full list of announced acts and dates listed below. While you're here, why not induldge in all that Cork has to offer? As well as our Room Only rates, the Imperial Hotel Cork has several special offers running throughout the Summer. View our offers now and make the most of your Live At The Marquee stay in cork this summer.